A bridge collapsed near Fossano, Italy today. It is an offramp of SS 231, a four lane bypass of the town. It carried no traffic at the time of collapse, but it did crush a police cruiser which was parked underneath. The police officers escaped the collapse just in the nick of time. This bridge was built in the 1990s. Italy has a history of bridge collapses, this is the third major bridge collapse in just the past six months. 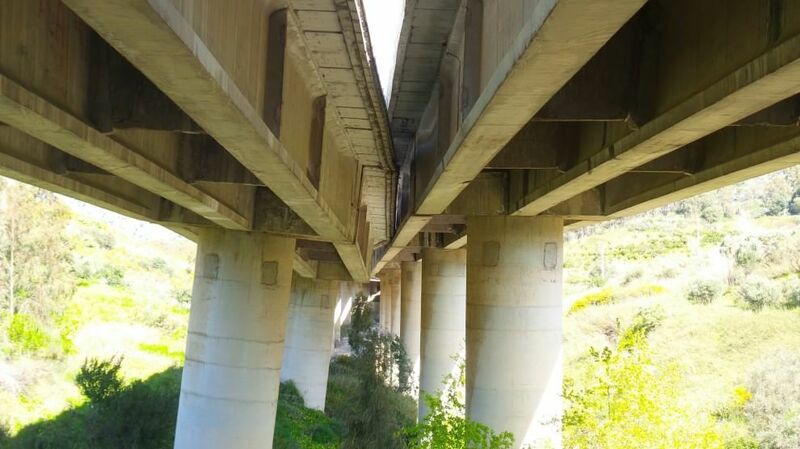 In 2015, a bridge of A19 on Sicily fell over due being built on a landslide. It is currently being replaced. An overpass of SS 36 (The Milan - Lecco express road) collapsed after a seriously overweight truck drove on it. The truck weighed 108 tons (238,000 pounds) whereas the typical weight limit in Europe is 40 to 44 tons for a semi truck. The overweight truck was caused by using an antiquated unit at the shipper, the quintal. It was supposed to be loaded with 108 quintal (10.8 tons) but it was loaded with 108 metric tons. Earlier this year an overpass under reconstruction collapsed onto A14 near Ancona. 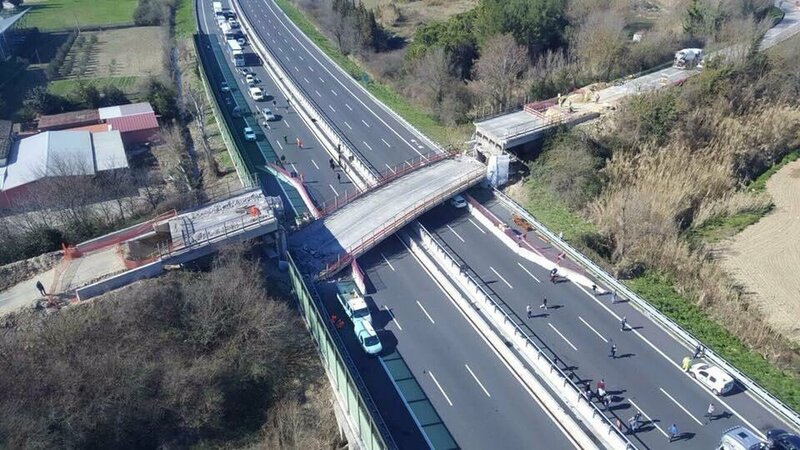 Boy, Italy seems to be having quite a problem with their overpasses collapsing!